Congratulations to the Fan of the Month for April – Wendy. Learn more about her below. 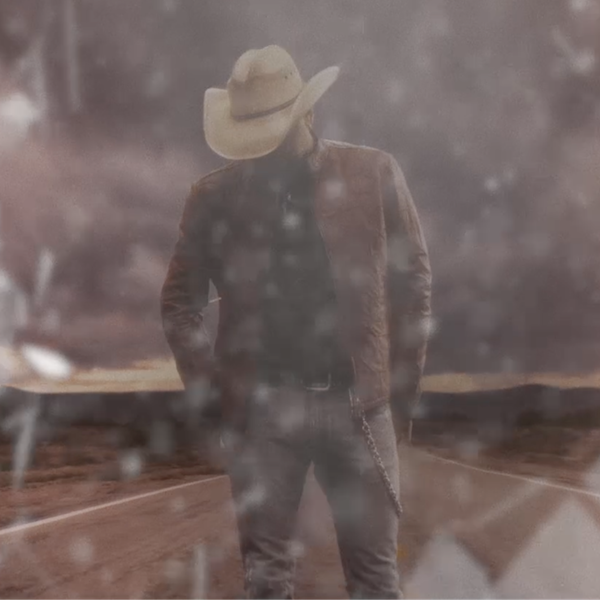 What’s one thing that sets you apart from other Jason Aldean fans? 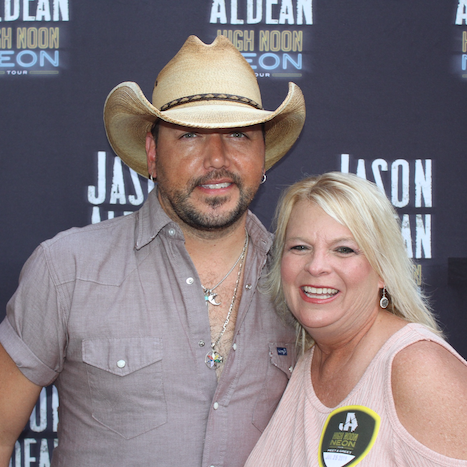 I finally got selected to meet Jason at the meet and greet in Tuscaloosa, Alabama last July. I had Jason sign my arm and went and had it tattooed after the concert. 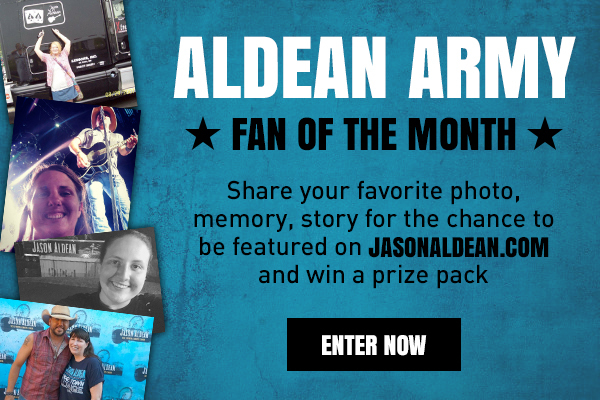 Tell us your favorite Jason Aldean related story. We live in a small town where we have bon fires, dirt rode riding. Jason’s songs are always playing and every song fits with our life so perfect. It’s almost like he wrote them for us. 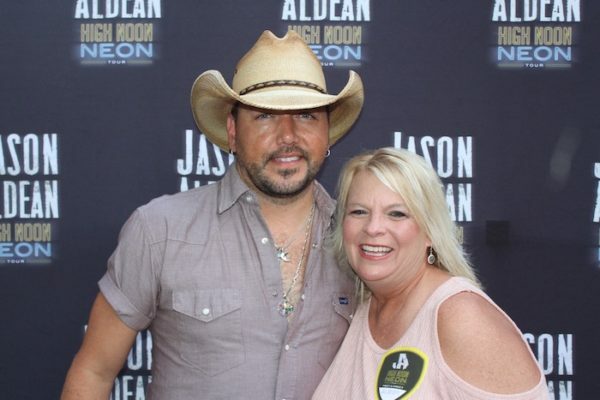 Congratulations go out to Wendy, she will be receiving a Jason Aldean prize pack!